Almond Brownie Balance Bars are my favorite! I've been eating Almond Brownie Balance Bars since roughly the year 2000. 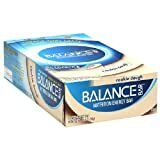 I used to eat another Balance Bar flavor (Honey Peanut), but found that I quickly tired of that taste. For some reason, I never get tired of Almond Brownie, perhaps because of the sweet chocolate fix it provides plus the suprise of the almond nuts. I prefer to eat the bar cold with some ice cold milk. This way, it tastes like a real brownie. Well, maybe that's a stretch, but after eating about 2000 (yes indeed) of these bars over the years, my taste buds have adjusted to the taste. Almond Brownie is my favorite Balance Bar flavor by far. In addiion to eating it cold, I can also eat it warm (if it's been siting in my car -- I live in Florida) along with water. Looks like Amazon Grocery has the lowest price by about 10%, which could save me up to $100 per year. This is one of my favorite "fall back" flavors of protein bar, among all brands. Why? 1. They don't melt. I can leave one in my car for quick and efficient calories after a workout. 2. Nice chocolate fix. If you eat many energy bars, you know that if the flavor includes the word "brownie" that its really not going to taste like a brownie, it will approximate the flavor as best as it can. Fortunately for Balance, their Almond Brownie flavor actually does pretty well in that regard. It is dense and fudge-like in its consistency with small almond chunks. You could let your mind wander for a minute and possibly think that you are eating a heavy brownie. The ingredients are not great, what with the sugar and artificial junk that's in it, but I don't eat them every day and neither should most people. They really are a candy bar with protein and vitamins, not a substitute for real food. I wouldn't buy these again unless they go on sale again. I got them really cheap on here like 11.50 for the whole box. So i decided what the hell. I bought three boxes of protein bars because I'm currently dieting and always on the go. I also bought luna sunrise bars which i loved!! And clif mojo bars which was my 2nd fave. Currently my favorite nutrition bar! 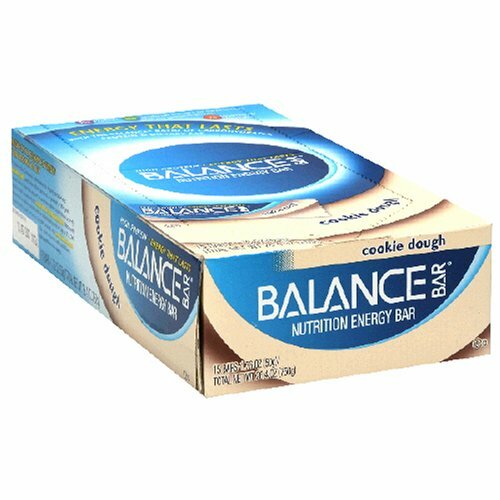 Before I bought this product I always thought Balance bars were low in protein and just a womans meal supplement. Well, now they are my main protein bars and eat them all the time between meals when I am hungry. Most delicious energy bar out there! I love these Balance Bars. The honey yogurt peanut flavor is the best I've tried, and they are great with a glass of cold, skim milk for breakfast or a snack. Without the milk, they aren't very filling, it's true, but they are still very tasty and better for you than candy. However, it's also true that since they are made with HFCS they aren't as healthy as some of the other bars available. They probably have a fairly high glycemic index. My wife and her son love these!